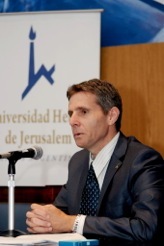 Professor Yuval Shany is the Hersch Lauterpacht Chair in Public International Law, Faculty of Law, Hebrew University of Jerusalem. His latest EJIL article, summarised in this post, is available here. His publications include The Competing Jurisdictions of International Courts and Tribunals (OUP, 2003) and Regulating the Jurisdictional Interactions Between International and National Courts (OUP, 2007). The article assesses some of the theoretical and practical implications arising out of some recent changes in the field of international disputes settlement: the rise in the number of international courts, the expansion of their jurisdictional powers, their increased invocation by state and non-state parties and the growing inclination of national courts to apply international law. Arguably, these cumulative developments herald a qualitative change in the configuration of the field of international dispute settlement. Whereas international law had been applied in the past by judicial bodies on relatively few occasions, the operation of the new international judiciary has been much more “routinized”, and nowadays increasingly resembles the operation of national courts (and, in the same vein, the application of international law by national and international courts increasingly resembles the application of national law by national courts). At a deeper level, one may claim that the operation of the new international judiciary is governed by new ethoi (international norm-advancement and the maintenance of co-operative international arrangements), which is different from the traditional ethos of international courts (conflict resolution). The second part of the article discusses some of the “blind spots” of the present judicial institutional landscape: a) Jurisdictional gaps – the new courts have been concentrated in a relatively limited number of areas of international relations, mostly appertaining to the protection of basic human rights, some economic relations, and maritime interests. Many other areas of international life of critical importance (such as politically-charged conflicts before international courts relating to war and terror) largely remain outside the compulsory jurisdiction of any international court. What is more, the personal jurisdiction of the new international judiciary is less than universal, and sometimes those very states that are most likely to become involved in conflicts falling under the jurisdiction of the new courts tend to withhold their consent to jurisdiction; b) Enforcement gaps – the increase in the jurisdictional reach of international courts has not been met with a comparable increase in their enforcement capabilities, which would enable courts to effectively carry out their missions. While this may be less of a problem in the economic sphere, (where cooperative regimes typically generate their own incentives to comply), it appears to be a serious obstacle to the smooth functioning of international courts in fields such as criminal law. While national courts can, in theory, fill some of these remaining jurisdictional and enforcement gaps, their ability to actually do so remains unclear. Perhaps the combined effect of a more robust ICJ, and more international law-minded national courts, could go some way towards closing the existing gaps in international jurisdictional coverage and enforcement. The third and last part of the article addresses in brief some concerns that the emergence of the new institutional judiciary may actually exacerbate: a) coordination problems – the uncoordinated manner in which the new international courts were created, and the specialized character of their jurisdictional structures, generates potential jurisdictional conflicts and introduces tensions that threaten the coherence of the international legal system as a whole; b) effectiveness and perceived legitimacy – the judicialization of dispute settlement may not always produce better outcomes for the relevant stakeholders, particularly where some of the parties deem the applicable norms to constitute an inadequate basis for a just and comprehensive settlement (without some adjustments). Moreover, one may wonder whether the investment of considerable political and financial resources on the part of the international community in establishing new international courts always represents the most cost-efficient investment of resources. The expansion of international courts and international jurisdiction without seriously addressing problems related to their jurisdictional limits, enforcement powers, jurisdictional and normative relations with other bodies, effectiveness and perceived legitimacy may result in a political and legal backlash that would, over time, complicate the mission of international courts. Hence, one of the key challenges in the 21st century for the international judiciary (and the international community on whose behalf it operates) will be to develop legal doctrines, best-practices, and institutional safeguards to address such concerns.